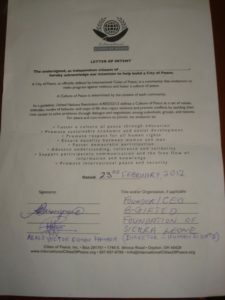 The leader of the peace cities movement in Baroda, India is Mukund M. Purohit. Mr. Purohit is a retired Independent Director in Baroda and will lead a coalition for the city of peace initiative that includes toleration and cooperation among the diverse population and a cessation of violence, including that regarding the Gujarat separatist movement. In February 2002, the train attack at Godhra lead to state-wide riots, resulting in deaths of 1044 people – 790 Muslims and 254 Hindus, and hundreds missing still unaccounted for. On 26 July 2008 a series of seventeen bomb blast rocked the city, killing and injuring several people. Mr. Purohit and his family and colleagues will work to heal the wounds and foster peace in the state of Gujarat. Baroda has long been considered for its educational institutions. Due to changes of generation, the city is in need much to work for peace so that Baroda can take its rightful place as a peaceful city. The intention is to live and let live in our relations to others. The city is full of multifaceted activities and peace building is needed in the years to come. Rightful, timely measures are need for this full fulfillment. Mukund was recently honored as Country Coordinator of India by the International Society of Peace and Safety, Lagos, Nigeria. He was also elected as Director by the International Diplomatic Relations Ministry, USA, as well as an honored Parliamentarian for Global Action, New York. “I am taking all possible opportunity of celebrating various festivals to bring harmoney and peace among all caste and creed- this has resulted in keeping peace since couple of years in and around Baroda. Hope to still spread the concept of peace, harmony and one religion one world. May Peace prevails everywhere. 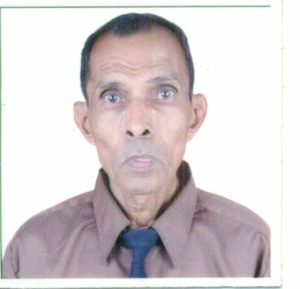 A life member of the International Society of Philosophers for Peace, U.S.A., he is alos a member of the Society of Divine Life in Adyar, India. He is also in the Expert MBA Club of India and an Expet CEO Club. Mr. Purohit and his wife have one daughter and one son, both married. All of Mr. Purohit’s family believe in simple living and high thinking as well as peacemaking. He is the youngest son of the late Dr. M. S. Purohit, an active member of the Theosopical Society Adyar-Surat. Mukund Purohit’s eldest brother was the late Dr. N. M. Purohit an opthalmic surgeon in Bombay. Second brother was D. M. Purhit of Bombay and, third, H. M. Purohit an architech in Bombaypracticing at Surat. A life member of International Society of Philosophers, U.K., Mukund Purohit is Chief Coordinator for fundraising in the xxxxx NGO. He is a member of the International Society of Philosophers of Peace, U.S.A., and a member of the Theosophical Society for Divine Life, Asia. Mr. Purohit is also associated with the MBA Club India and CEO Club of India, as well as as the Lawyers Club, India. Vadodara, formerly known as Baroda, is the third largest and most populated city in the Indian State of Gujarat, after Ahmedabad and Surat. An educational hub, Baroda was established by the wide vision of Sir Sayaji Rao Gayakwad, the King of Baroda. It is said that he was considered the cleverest young man to have received the Crown of Baroda. The entire family has contributed to educational activities for centuries and the community is still receiving those gifts today. The city has a planetarium and well-known museum. A Toy Train Garden, a local and tourist favorite, was given by the King of Baroda fifty-five years ago. 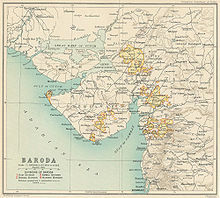 During the days of the British Raj, Baroda state was a Maratha Princely state ruled by the royal Gaekwad dynasty, entitled to 21 Gun Salutes, and was one of the largest and richest Indian Princely states. Historical and archaeological findings date this place back to the 9th century when it was a small town called Ankottaka (present Akota) located on the right bank of the river Vishvamitri (whose name is derived from the great saint Rishi Vishwamitra). Ankottaka was a famous centre of Jainism in the 5th and 6th century AD. Some of the Akota bronze images can be seen in the Vadodara Museum. The city was once called Chandanavati after its ruler Raja Chandan of Dor tribe of Rajputs, who wrested it from the Jains. The capital had also another name “Virakshetra” or “Virawati” (a land of warriors). Later on it was known as Vadpatraka or Wadodará, which according to tradition is a corrupt form of the Sanskrit word Vatodar means ‘in the heart of the banyan tree’. It is now almost impossible to ascertain when the various changes in the name were made; but early English travellers and merchants mention the town as Brodera, and it is from this that the name Baroda is derived. Again in 1974 the name changed to Vadodara. Vadodara is one of four cities in the state with a population of over 1 million. It is also known as the Sayaji Nagari (Sayaji’s City after its famous Maratha ruler, Maharaja Sayajirao Gaekwad III) or Sanskari Nagari (The City of Culture, a reference to its status as the Cultural Capital of Gujarat). Vadodara or Baroda, formerly the capital city of the Gaekwar State, is situated on the banks of the Vishwamitri, a river whose name derived from the great saint Rishi Vishwamitra. 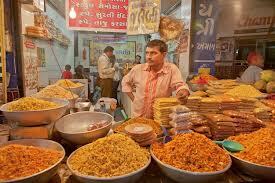 It is located southeast of Ahmedabad, 139 km from state capital, Gandhinagar. It is the administrative headquarters of Vadodara District. Both the railway line and national highway connecting Delhi and Mumbai, passes through Vadodara. 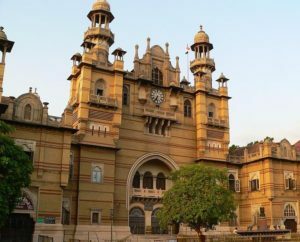 Vadodara is home to almost 1.6 million people (as of 2005), the beautiful Lakshmi Vilas Palace and the Maharaja Sayajirao University of Baroda (M.S.U.) which is the largest university in Gujarat. Its famous for the Science, Fine Arts, Performing Arts, Technology, Management, Psychology, Social Work, Law and Medicine streams. 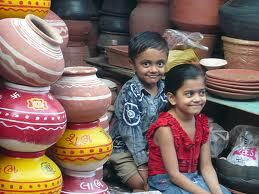 It has a high literacy rate by Indian standards of 78% (2001). Major industries include petrochemicals, engineering, pharmaceuticals, plastics and Forex. Famous companies such as ABB, Reliance Industries, Schneider Electric, Larsen and Toubro, Collabera, DuPont, Bombardier, ERDA, General Motors, IPCL, ONGC, Sun Pharmaceuticals, GSFC, Alembic, Apollo Tyres, CEAT Limited, Suzlon, Kemrock, GACL, JCT Electronics and Eclipsys all have a strong presence in this city, also it has presence of IT multi-national companies.